There aren't many logos that can evoke memories so clear, vivid and real that you can actually smell them. I can think of only a handful of logos that conjure up memories as soon as you see them. It's for this mighty power of association that I'd like to nominate the Bass Brewery logo. 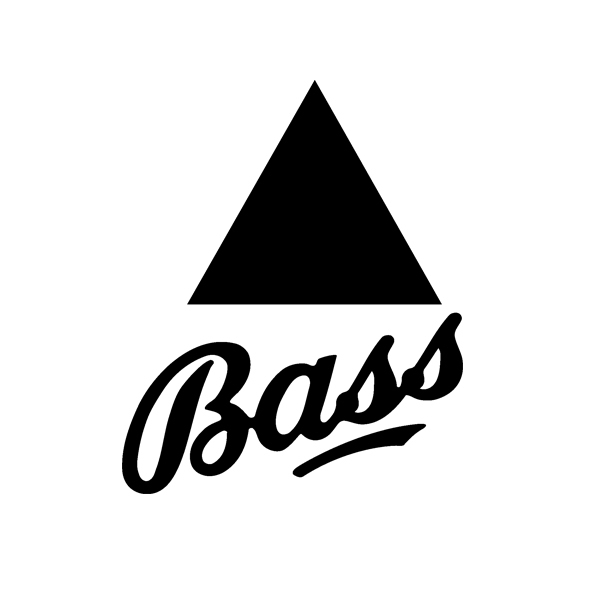 The Bass logo doesn't necessarily top my list for its beauty (though there is certainly some of that in its combination of elegant, weighty script and uber reductive pre-modern modernist triangle). Nor do I admire it for its coolness (though you could perhaps argue for that too, now that we've reached peak craft beer here in the UK). But for sheer nostalgic firepower, the Bass Brewery logo is unsurpassed. One look at that uneasy graphic marriage of simplicity and filigree and I'm instantly transported to East Lancashire in 1983: the taste of Seabrooks Salt and Vinegar crisps, the smell of the Bass beer barrels at the local rugby club, the television sound-effect of the football results ticker-tape machine. It's an multi-sensory instant recall as soon as I clap eyes on that single colour marque. But just to avoid this entire article becoming a self-indulgent logo-triggered reminisce, here's a bit of real history. 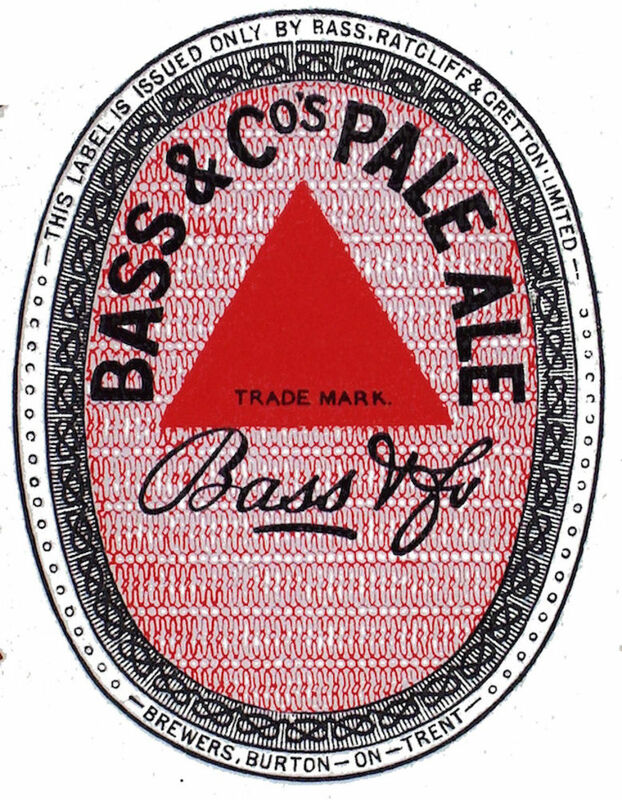 The Bass Brewery logo was the first ever trademarked symbol in the UK, registered at the crack of dawn on the morning of January 1st 1876 when the trademark office first opened. Since then, the logo has adorned not only Bass beer bottles but has made cameo appearances in the fields of fine art and literature, too. 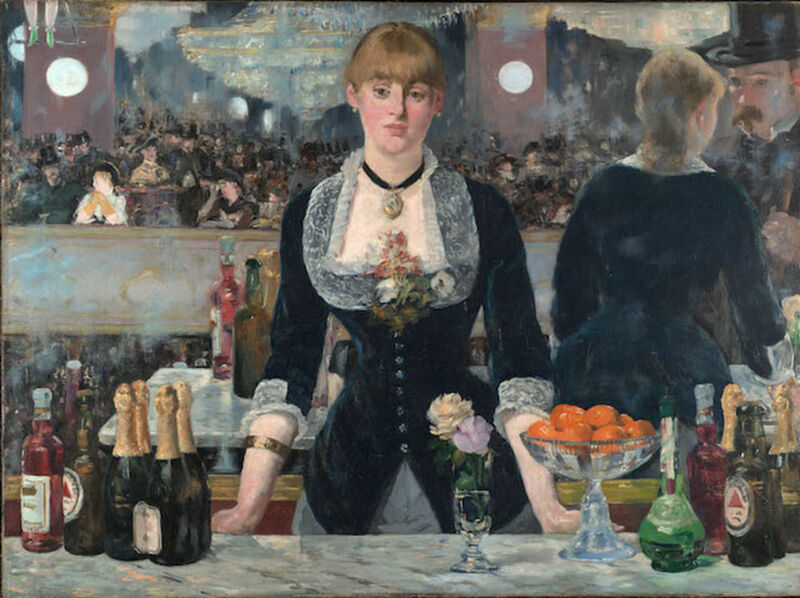 Look out for that unassuming red triangle pictured within several paintings and collages by Pablo Picasso, as well as in Édouard Manet’s Bar at the Folies-Bergère and an honourable mention in James Joyce’s Ulysses too. The Burton-on-Trent based brewery were also shrewd early adopters of then-fledgling business practices. Bass thus ensured that their logo was seen consistently and widely on their exported product all around the world, thanks to their fierce trading and shipping expertise. By the end of the 19th Century, Bass were producing over 1.5 million barrels of their trademarked ale per year. A simple one colour approach and a recognisable symbol ensured that their marque became synonymous with warm and slightly fizzy boozy refreshment all over the world. So here's to that lumpy but enduring logo. Mine's a Shandy Bass. Cheers. …a designer and co-founder of Brighton-based brand design company Baxter and Bailey. He began his career at Trickett & Webb, then worked internationally with Melbourne and NYC-based brand design studio 3Deep, before returning to London for five years as creative director and partner at 300million. He has worked for a diverse range of clients from all over the world, including Land Securities, The Body Shop, Orchestre de Paris, the Edinburgh International Film Festival and the Australian Ballet. Matt has written for Design Week and The Drum and has judged design awards for D&AD and Design Week. He’s given talks and workshops at LCC, the University of Northumbria, The Cass and Middlesex University, and has run portfolio surgeries for D&AD New Blood.